Applications: Be applicable to isothermal spheroidizing annealing of batches of bearing races and forgings. Features: The line is an energy-saving and environmentally friendly product, has higher efficiency, effective recuperation of residual heat and lower specific electric consumption, and can save more than 40％ electricity compared with original single row furnace. 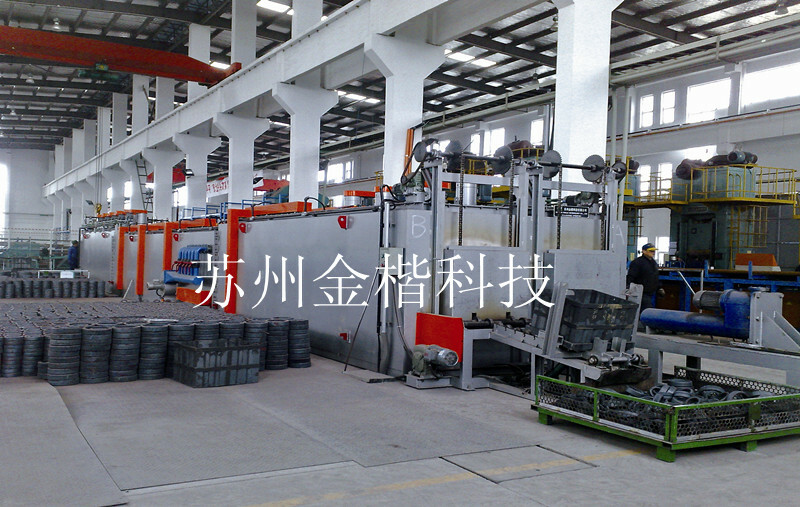 The treated workpices have stabe quality.